Marcelo tried to fix his father’s shortwave radio when he was 9 years old. To their surprise, and relief, it worked. This was the first milestone in an extensive product development career. With his thirty years of coding experience in operating systems for bio-medical device instrumentation and high-throughput financial transaction processing systems, to say Marcelo understands the world of engineers, is an understatement. However, having experienced ‘Command and Control’ structures in these heavily regulated industries, he felt there was a better way to get things done; something that could spur innovation, deliver higher quality solutions and yet adapt to ever changing business demands. The solution? Scrum. 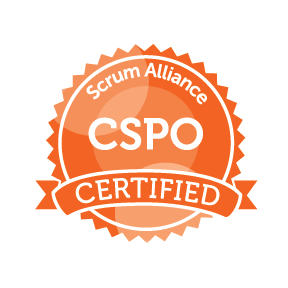 Marcelo understands what it takes for Scrum to thrive within the constraints of regulations, deadlines and budgets. As an experienced ScrumMaster and uber Product Owner in a bio-medical instrument organization, Marcelo appreciated the constraints of Scrum with stringent Class 2 and Class 3 device regulations as well as 510K submittal requirements. As a Lead Developer for the User Experience for many years, Marcelo recognized the challenges of development in a clinical setting. These strict product development settings, and many more like them, are prime for the application of the Scrum framework. Marcelo has the knowledge and skills to balance the voice of the Customer, the needs of the business and bring high quality products to market. With the growing trend of nearshore development, Marcelo’s ability to deliver the Scrum message in both Spanish and English are pure gold. When Scrum.org needed the Scrum Guide to go further into the world, Marcelo jumped on the chance to deliver the Spanish translation, the first non-English version of the Scrum Guide to be published. Marcelo went on to translate “Scrum in a Nutshell” into Spanish, “Scrum en Breve”. Next up for Marcelo’s translation skills? A Spanish language version of the “Scrum Study Guide”. When not thinking about building better products, Marcelo applies his agile thinking to navigating his bike around South Florida. An avid photographer, you might find him taking pictures at various botanical gardens or in the Everglades. It’s also not uncommon to see the sign “Gone Fishin” at his place; not surprising, given his proximity to the Florida Keys. 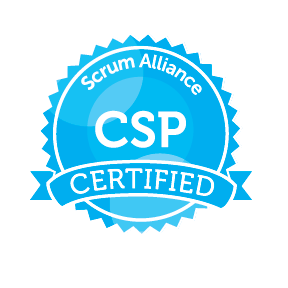 In addition to being a Certified ScrumMaster (CSM) and Certified Scrum Product Owner (CSPO), Marcelo also holds the more rigorous designation of Certified Scrum Professional (CSP) with the Scrum Alliance. Marcelo is also an Accredited Kanban Trainer (AKT) through Lean Kanban University.